Today on the Blue Glove Jobs Blog, Kevin Rose of Rose & Co. is our guest writer. In this guest blog, Kevin shares his insights into taking control of the problems within your business. He discusses how to diagnose them and how to tackle them effectively to ensure your dental business is as successful as possible. Solving Issues in Your Dental Business. 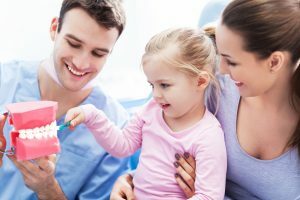 When I first started talking to and working with dentists 10 years ago, one of the common behaviours that I noticed is that practice owners tend to run their businesses like they treat their patients. Dentists are inclined to diagnose and fix the problem there and then. As a dentist, fundamentally it is your training, experience, knowledge and the detailed information available to you, that allows you to firstly diagnose and then fix the problem. Now think about how you typically solve issues in your dental business. If you are doing so without the information that allows you to make a diagnosis, then of course you may get lucky and solve that issue. However, that strategy is potentially as dangerous as treating your patients with your eyes closed! 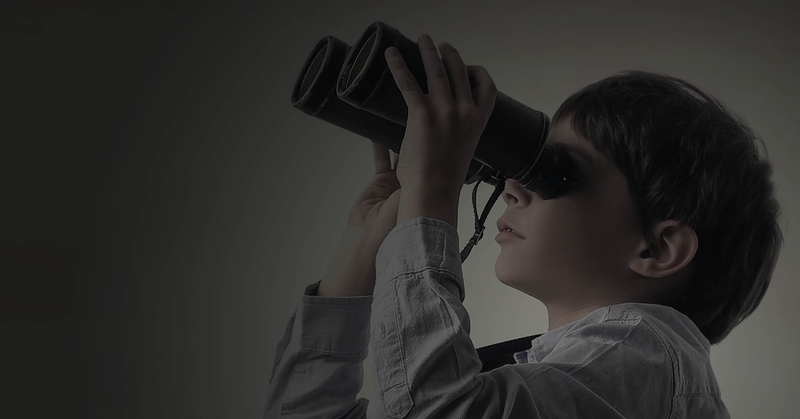 Your team are ignoring your vision?…spell it out yet again. Gaps in your book?…jump in and do some marketing. Need to change the behaviours of your team?…tell them what do and cross your fingers. Losing your best staff?…stick another 50p an hour on their pay. The typical list of issues that dental practice owners face goes on and on. In my experience that list hasn’t really changed much in 10 years. If your list of ongoing issues isn’t changing that much either, then perhaps it’s time to look at it from a new perspective? Before taking action, make a proper diagnosis. Those that do discover how to fix the things that once kept them awake at night, haven’t done so without first making a proper diagnosis and that ability to diagnose comes from recognising the importance of stepping back and looking at the issue from different angles. So, how can you do that? Well, training and getting the right information are one thing but experience and knowledge are time earned. That is why it is worth talking things through with somebody that has the necessary width of perspective and depth of experience to test your thinking, and to contribute towards you making better decisions. Think about it for a moment, there probably is a business decision that you made recently, that could have been made better. Would it have worked out better if you had had the time and the ability to look at it from different angles? I can’t promise that all of the leadership, marketing and business issues that keep you awake at night will go away forever. However, I do know from direct experience of working with dental practice owners, that there are some fundamentally different ways that those dentists who sleep easily at night are thinking, looking and diagnosing their business issues. It is these perspectives from which you will get insights, and from insight comes new thinking and from new thinking, better business decisions. Sign up for the “Get Insights” CPD event. 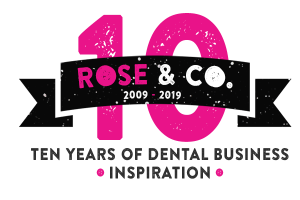 Rose & Co. are hosting a full day “Get Insights” event in London in March 2019. The CPD event will benefit practice owners or any member of a dental team that would benefit from learning about the success of others, how they do it, what motivates them and how they just keep on going. 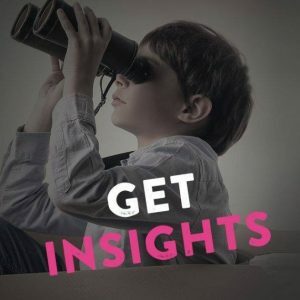 ‘Get Insights’ will host five guest speakers who will help you get insights that will change the way that you think about your own dental business. They’ll discuss the ways that will keep you ahead of your competitors by owning, managing and leading a successful dental business. The proportion of female dentists in the industry is set to rise to over 60%, according to new Christie & Co. report. The Dental Industry 2018, a new report from Christie and Co. shows the percentage of female dentistry undergraduates has risen to almost 64%. In today’s blog, we chat about the reasons for the increase of women in dentistry and what this could mean for the dental industry. Want to find out more? Keep on reading! A rise in the number of female undergraduates. Many years ago, it was not unusual for women to look out of place at dental school. You could look round a lecture theatre full of dental students and only a handful would have been female. Thankfully, the times they are a’changin! The number of female dentistry undergraduates had been in a slow decline for many years. However, last year, in 2017, dental schools finally saw a reverse of this trend, with more and more females applying to and graduating from dental schools. Nowadays, women account for 63.4% of all dental undergraduates. This is almost a 10% increase on 2007 figures. But what does this mean for the dental profession? At present in the UK, females make up 49% of the dental workforce. 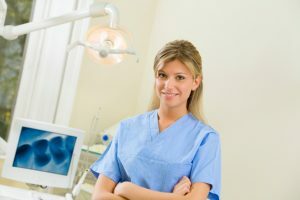 With more and more females graduating from dental schools, this figure can only rise and therefore continue to influence workplace trends in the industry. Traditionally, across most industries, women seek out part time roles and roles that have increased flexibility in working hours, to allow them to have a better work-life balance, particularly if they have a family at home. The same applies in the dental industry. Female dentists look for roles that have fewer working hours, or hours that are flexible around their life outside of the practice. As such, dental practices and companies are looking to integrate different methods of working to suit a changing industry. This may take shape in the form of different opening hours or flexible working patterns. The dental industry is changing for everyone – not just for women. Women are certainly making waves in the dental industry, but there are some big changes ahead for all dentists. Our current political climate and the uncertainty of Brexit and what it means for the profession means that that more and more British dentists are searching out jobs abroad and taking their skill sets with them. While more and more people in the UK are becoming qualified dentists, the outflow is steady, too. 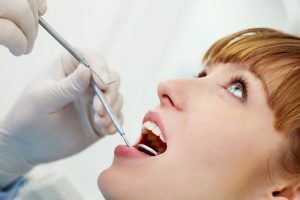 What do you think about women in dentistry and the changes in the dental industry? Let us know in the comments below! How Much Should Dental Professionals Be Getting Paid? Posted on 07/08/2018 | by Marcus | Leave a Comment on How Much Should Dental Professionals Be Getting Paid? Ever wondered if you’re making the amount of money that you should be making? Today on the Blue Glove Jobs blog, we’re looking at Dental Professional’s wages. We’re talking all things money, to let you know whether you’re being paid the amount you deserve to be paid! We’ll look at Dental Nurses & Hygienists, to Receptionists and practice managers. So if you think that you might be underpaid, it’s worth reading on. A newly qualified dental nurse can expect to earn anywhere between £17,000 and £19,750. A more experienced dental nurse can expect to earn anywhere between £22,000 to £28,500 annually. As a dental nurse, pay rates are roughly the same regardless of whether you work in and NHS dental practice or in a private dental practice. A newly qualified hygienist can expect a starting salary of around £22,000 – £26,000. With more experience, a hygienist can earn anywhere between £28,500 and £41,500 every year. This is entirely dependent on levels of experience and qualifications obtained. The starting salary for a dental therapist can be anywhere from £22,000 – £28,500. A highly experienced therapist may earn as much as £41,500. The average salary for a role as a dental therapist is £32,500. Dental practice receptionists can expect to earn at least £21,000 every year. This can rise to around £30,000 depending on the size of the practice, the number of patients and the location of the practice. A practice receptionist in a bigger city can expect to earn more than a practice receptionist in a small town. A trainee NHS Dentist can earn between £36,000-£45,750 yearly. A salaried dentist will earn between £38,500 & £82,500 yearly. A highly experienced NHS consultant dentist can earn up to £102, 500 every year. Self Employed dentists could earn between £50,000 and £140,000 annually. Fully Private Dentists can expect to earn £140,000 annually. Ultimately, a dentist’s salary is dependent on their area(s) of expertise. An NHS orthodontist can expect to earn around £56, 376. Entry-level orthodontic positions begin at around £40,000. A consultant orthodontist could expect to earn around £100,000 each year. This wage increases for entirely private orthodontists. Dental technicians wages vary. Gross pay can start at around £18,000 a year, rising with experience to between £24,000 and £30,000 year. Dental technician specialists and those with management responsibilities can expect to earn between £27,635 and £37,000 a year. Advanced dental technicians can expect to earn up to £43,471 a year. This increases again for private lab technicians. So there you have it! A rough guide to dental professional’s wages – like we said, these are just a guide! But if you’re a dental professional, and you think you’re being underpaid, do something about it! You work too hard! Are there any other jobs you’d like to know the average wages of, let us know!